Milford, NH ― Earthworks has upgraded its measurement microphones to include electronic calibration files in addition to the accessories previously offered at no additional cost. Together with the provided sensitivity of your individual microphone, the ECF can be used to calibrate your specific microphone to your measurement software or system. 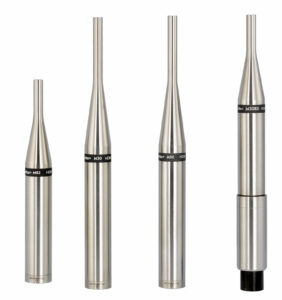 Hand built, tuned and tested in the Earthworks facility in Milford, NH, the Measurement Series includes models with upper frequency responses of 23kHz, 30kHz and 50kHz. Each microphone’s capsule is hand tested and matched to its circuitry to provide the most accurate responses.